To distribute software to one or more Puppet Agents, a module will need to be installed on the Puppet Master. In this example, Nano will be installed on the Puppet Master. 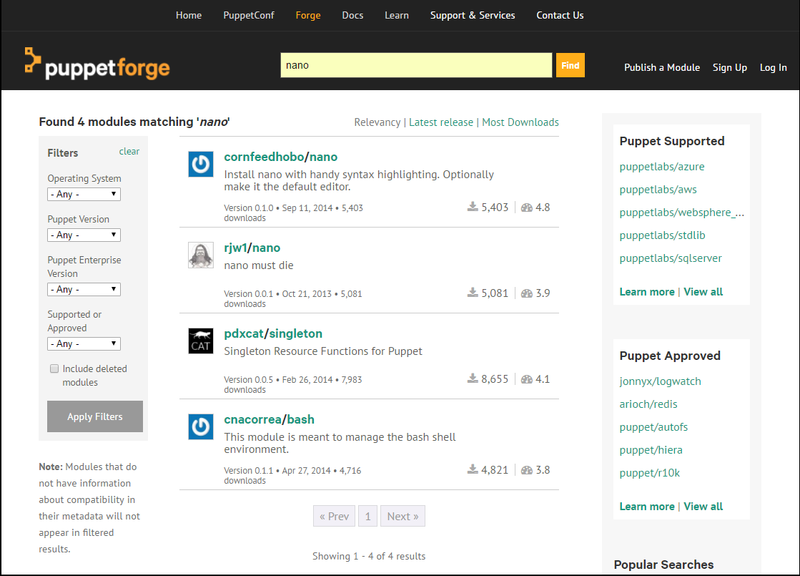 Search the Puppet forge for the module you want to install. In this example, a search is done with keyword nano. Similarly, the puppet module search keyword command can be used. The puppet module install module_name command can be used to install a module, on the Puppet Master. In this example, the cornfeedhobo-nano module is installed.